The New Monarchs was a concept developed by European historians during the first half of the 20th century to characterize 15th-century European rulers who unified their respective nations, creating stable and centralized governments. This centralization allowed for an era of worldwide colonization and conquest in the 16th century, and paved the way for rapid economic growth in Europe. Many historians argue the Military Revolution made possible, and indeed made necessary, formation of strong central governments in order to maximize military strength that could enable conquest and prevent being conquered. Isabella I of Castile and Ferdinand II of Aragon — They never combined their territory. They always ruled their own land independently, weakened the power of the nobility, completed the Reconquista, reformed the state finances, the law, the church, the army and began the age of Spanish exploration. They also outlawed all religions except Catholicism. 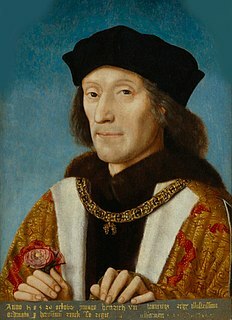 Henry VII of England — ended the War of the Roses, brought England from bankruptcy to prosperity, built up the Royal Navy, and unified England politically by eliminating potential competitors to the throne, pacifying Yorkist resistance by marrying Elizabeth of York, and checking the power of the nobility. While Peter the Great ruled two centuries after the New Monarchs, he is sometimes considered the New Monarch of Russia, accomplishing for his country very much what the New Monarchs did for theirs. After the New Monarchs, the Absolutist Monarchs gained sway, to be followed by the Enlightened Absolutism. New Monarchies, which were very powerful centralized governments with unified inhabitants, began to emerge in the mid-15th century. Factors responsible for this advance were the vast demographic and economic growth. Before these New Monarchies were formed there were many changes the new monarchs had to make: including weakening powerful rivals, increasing revenue, unifying the country, and strengthening the power of the king and his bureaucracy. Two countries successful in strengthening themselves were France and England. England was headed by Henry VII and his son Henry VIII of the Tudor dynasty; France was headed by Louis XI, Louis XII and Frances I of the Valois dynasty. Many factors were responsible for the New Monarchies rise from the years 1450-1550. Firstly, there was a giant demographic growth with an increase in population by fifty percent; this huge growth caused an increase in the number of people paying the king’s taxes. This demographic growth led to an economic growth because there was a greater demand, which stimulated the economy. The major economic growth was where people began taking bigger risks and forming partnerships, enabling large sums of money to be invested. People became wealthier causing a bigger consumption of goods and luxuries, making merchants and traders wealthy. Merchants were then paying larger amounts in tariffs, increasing the king’s revenue. To create and sustain a new monarchy kings have to introduce many changes. At the early 15th century there was political fragmentation, where countries were not unified and had many separate rulers governing small areas. 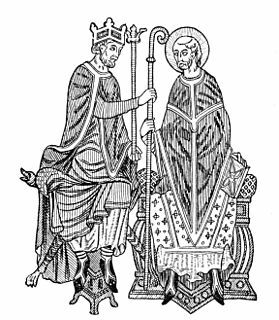 At that time the nobility and the church rose to be the thriving powers. Now the king had to effect changes to unify and strengthen his monarchy. He would have to weaken his rivals, the church and nobility, and transfer the authority to himself. He would also have to increase his funding by either increasing taxes, or selling government offices. Many kings[who?] did both. The rulers of England and France both have to weaken their rivals, the church and nobility, to constrict power to themselves. England did not have as hard a time as France in weakening the nobles because Henry VII comes to power after the War of Roses, which was between two noble families, his family, the House of Lancaster and his rivals, the House of York. His[who?] family defeated the House of York thereby weakening the noble class even before Henry comes to rule. Moreover, England had a very short supply of nobility, ranging from 50-60 families. Henry VII hires the gentry, the class below nobility, to serve as Justices of Peace, who enforce the king’s law and collect taxes; this weakened the power of nobility and made sure the king’s laws were followed. Henry VII also increases the power of his royal court, the Star Chamber, via giving them cases that previously went to nobility: thus increasing his own power and decreasing the power of nobility. Unlike England’s simple modification, France had a difficult time weakening its nobles, the aristocrats. 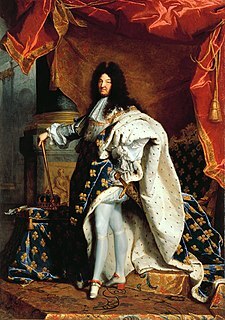 Before the mid-1400s the aristocrats were very powerful, serving as independent rulers with their own laws and courts. Frances I sells offices in government, many of which come with a title. This increases the number of men in the class of nobles enabling Frances to dilute the aristocracy with men loyal to him. These two countries had very separate methods of dealing with the problem of the church and its power. Henry VIII, under the advice of Thomas Cromwell, decides to break off from the Catholic church and start his own religion, the Anglican church. Francis I, on the other hand, decides on a more simplistic approach and forces the pope to sign the Concordat Of Bologna in 1516, which gave the king power to appoint whomever he wants for bishops and other religious positions and lessened the power of the papacy. Both kings needed to increase revenue. France needed more capital than England because of its permanent army of 15,000 soldiers, which cost half of the king’s revenue. Both countries improved tax collection by preventing people from evading taxes. Henry VII concocted numerous schemes to increase his revenue. Since he needed Parliament’s consent to could increase taxes, he increased fines for criminals. This had the dual effect of decreasing crime and increasing his treasury. Furthermore, he sold monopolies, which fetched large sums because those in possession could sell their products at any price, without fear of competition. 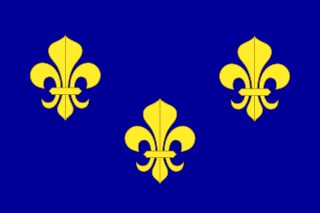 France had a slightly different way of doing things; Frances I sold positions of government, and centralized tax collection under one agency. With one agency heading the collection, fewer people were able to evade taxes. France also instituted new taxes. Though stabilizing New Monarchies was not easy, it proved to be very worthwhile. After Henry VIII and Francis I, wars began for England and France, England’s northern rising and France’s civil war. Both countries are able to pull through because of the strength invested during the New Monarchies. Additionally the strength formed during England’s New Monarchies helped withstand the fragile reigns of Edward and Mary, who followed after Henry VIII. Golden Liberty, sometimes referred to as Golden Freedoms, Nobles' Democracy or Nobles' Commonwealth was a political system in the Kingdom of Poland and, after the Union of Lublin (1569), in the Polish–Lithuanian Commonwealth. Under that system, all nobles (szlachta), regardless of rank or economic status, were considered to have equal legal status and enjoyed extensive legal rights and privileges. The nobility controlled the legislature and the Commonwealth's elected king. 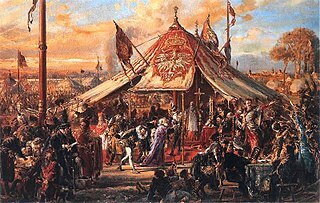 The privileges of the szlachta formed a cornerstone of "Golden Liberty" in the Kingdom of Poland and, later, in the Polish-Lithuanian Commonwealth. Most of the privileges were granted between the late 14th and early 16th centuries. By the end of that period, the szlachta had succeeded in garnering numerous privileges, empowering themselves and limiting the powers of the monarch to an extent unprecedented elsewhere in Europe at the time.